From the chart, AXIATA (6888) seem like formed head & shoulders chart pattern. 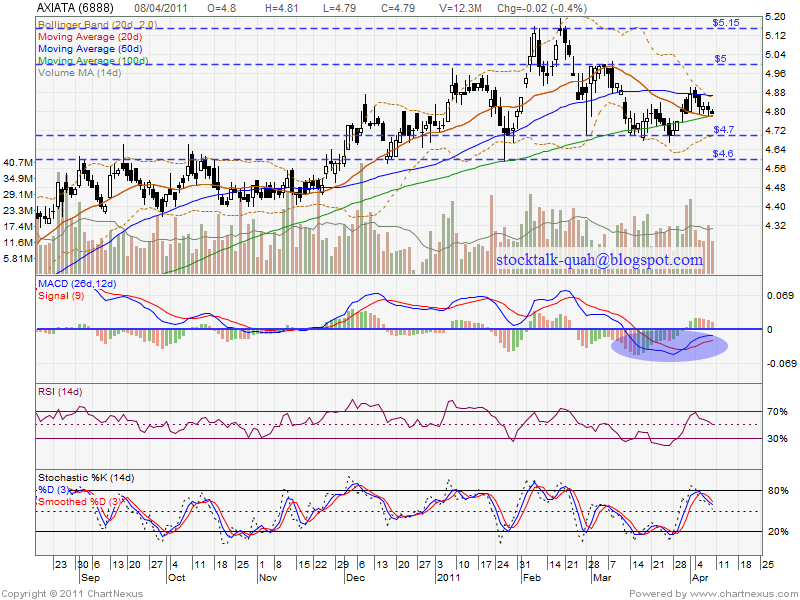 As 8 April 2011, it have been retest current strong support level RM4.78 which is MA100 / MA20 support level. Added, Stochastic %K NO trigger buy call. If unable sustain & rebound back, most probably will break down future. Next support would be RM4.70 & RM4.60 level. 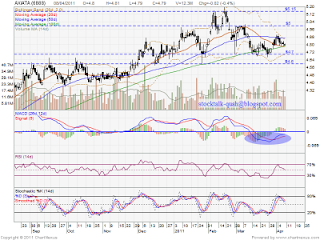 However, if rebound, it might retest RM5 & RM5.15 level.